Trying to lose weight can feel daunting. Were often concerned with where to do we start? What do we eat? How many calories is too many or just enough? Am I getting all the nutrients that my body needs to stay healthy? Do I have to go it alone? With Shaklee’s 180 program you can put those fears aside. Everyone who orders their Turn Around Kit from me, has access to personalized support as you go on your journey to better health and achieve your weight goals. The Shaklee 180 program is quite possibly the last weight loss program you will ever need! Working, traveling…too busy. That’s something we can all relate to. For most of us, we need a solution that is actually doable. Shaklee 180 is a natural weight loss supplement plan that will help you begin healthy weight loss…not just fast weight loss. Treat your body right, with nature! The Shaklee 180 weight loss plan is a clinically tested, natural weight loss product that is designed to burn fat and keep your muscle**. You want to get lean? This is the weight loss plan for you. 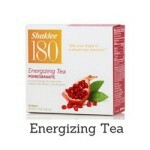 ** The weight loss portion of the Shaklee 180 Program was tested in a preliminary 12-week clinical study. Meal-in-a-bar was not included in this study. The two meals included in Shaklee 180 offer a healthy selection of smoothies, delicious snacks, naturally energizing tea and a natural weight loss supplement to boost your metabolism. It’s the complete, healthy weight loss solution that you’ve been looking for. Right here…at your fingertips. What’s the secret ingredient? Leucine. Nurturing your body with Luceine will help you lose fat and retain muscle…with your lifestyle. Watch this next video. Stay with us! Fat takes up more space than muscle, and your muscle keeps your metabolism ticking. It’s absolutely critical to retain muscle with your natural weight loss plan. Also incredibly important is not being chronically hungry. The fiber in the Shakelee 180 natural weight loss supplements helps to keep you full and going through the day…without craving fast food joints. Sigh. Leucine does the work for you, while you get healthy and live your life. Now that’s an easy weight loss program! 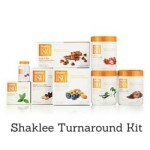 What are the Shaklee Natural Weight Loss Products? How to Get These Natural Weight Loss Products? 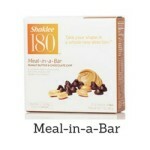 Shaklee 180, just like the rest of Shaklee’s products, can only be purchased through a relationship with a distributor. Click below to order today. We’re in this together, and we’re ready to help. We can be of much, or of little support as you’d like. Just contact us using this form if you’d prefer to reach out to us. It feels nice to know someone has your back. Do something about your weight. These are real people, like you and me who knew we could feel better and were tired of sitting around and waiting for it to happen on it’s own. The Shaklee 180 program will not only change the way you look, but they way you feel and think about yourself. Scott is a fireman who slowly let the weight creep on. In order to feel his best at his job, he knew he wanted an easy and safe way to help him get in the shape he was looking for. Shaklee 180 was the right fit for him. Elizabeth has lost in total 42 pounds on her weight loss journey and 19 inches. The best part.. she has kept it off for over 3 years. Aaron is in high school and has increased confidence and stamina to do the things that he has always wanted to do. Getting results starts with action. We can help you choose the right Shaklee weight loss pack for your needs. You can feel better! Let’s do this!